The Martian is a fun and entertaining ride that lacks any meaningful purpose beyond, perhaps, a fantastic recruitment video for JPL. The episodic and sporadic nature of the film comes as a result of the narrative operating as a tale rather than a complete story. Adding an alternative viewpoint to challenge and influence Main Character Mark Watney (Matt Damon) would have solved this film’s largest problem. Botanist Mark Watney is stuck on Mars and driven to survive, yet has no one to challenge his steadfast nature. Chuck Noland had Wilson, Sam Bell had Sam Bell and Dr. Jekyll had Mr. Hyde (Cast Away, Moon, and Strange Case respectively); all opposing viewpoints that kept us, as the Audience, engaged with the story’s events. A story needs to include this Influence Character perspective if there is to be any meaningful character development. Unfortunately, The Martian fails to offer anything close, resulting in the final film playing out as nothing more than a simple tale. When presenting a tale, an Author simply lists out the order of events as they occur. The meaning of a tale lies in comparing the ending to the beginning; change the point in time when a tale ends or when it starts will effectively change the meaning of the work. Contrast this with a fully functional, well-argued story wherein the meaning lies between the juxtaposition of various approaches towards resolving a central inequity. Where one starts or where one begins bears no influence on the meaning of the work (Memento and Pulp Fiction prime examples). Through competing yet connected Throughlines, an Author argues the relative appropriateness of various solutions. For Mad Max (Tom Hardy) in Mad Max: Fury Road fight proves more successful than flight; for Terrence Fletcher (J.K. Simmons) in Whiplash switching from a focus on what’s wrong to helping improve what’s right finally earns him his reward. looking for “meaning” is a luxury when you’re busy trying to keep from dying. 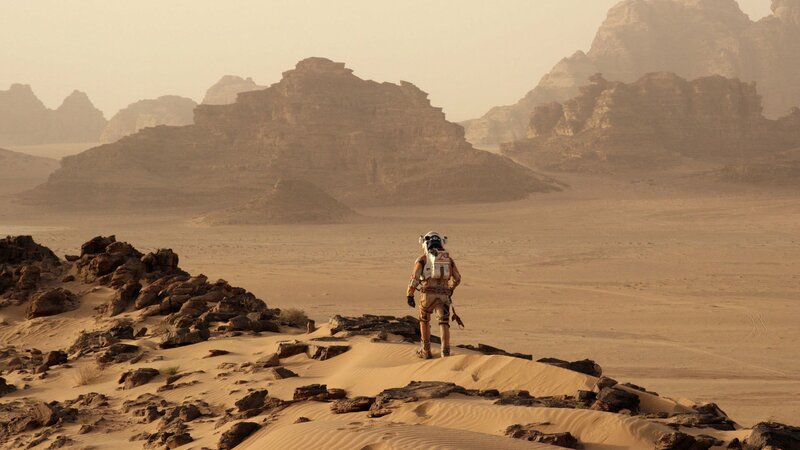 Popular or not, The Martian lacks meaningful character change and as a result becomes a film that is quickly forgotten. Complete stories engage Audiences in a way that simple tales simply cannot. For a work to endure, it must challenge its Main Character (and by proxy, its Audience) to reconsider the way he or she sees the world and show what happens when you do or don’t change. Only then can a work claim a higher status than mere entertainment.